Everyone loves to get mail! Not bills, but actual correspondence from family and friends. Of course that doesn't happen too often these days. One exception is Holiday Cards! That season is almost upon us! The time when we get those colorful, hand addressed envelopes with the bright and shiny cards, many of which have adorable pictures on them. Such lovely sentiments, that we have to display them for as long as the season lasts. We have a little ledge in our dining room that we usually prop them up on, but not this year! With just a couple of items from the dollar store, I've created my own Snowflake Card Holder. 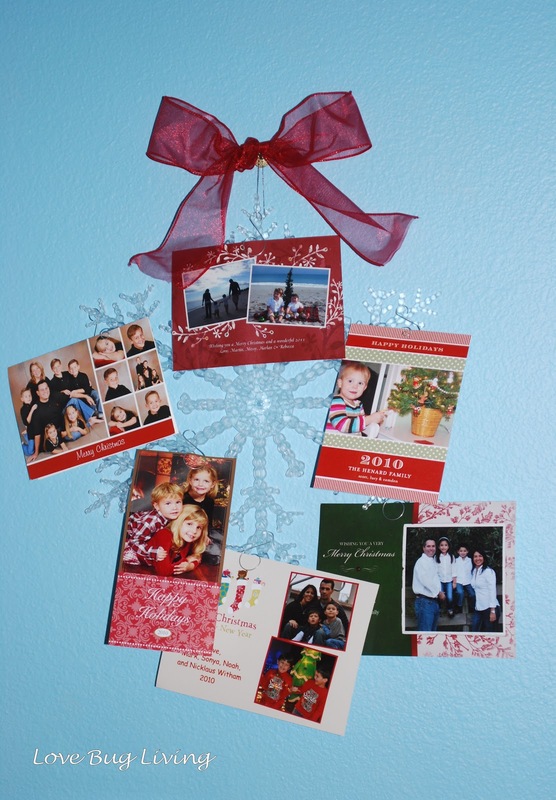 All you need is a large plastic snowflake decoration and those fancy, curly ornament hooks. You can also add a bow as well if you like. 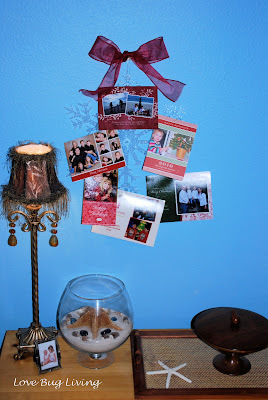 Simply slide your holiday cards on the curly end of your hooks, using them like a paper clip. Then hook the other end on to the snowflake. Add your bow and hang! Add more cards as you receive them. Nice idea! Thanks for linking to Things I've Done Thursday!